Belize NMS: A moderate east-northeasterly airflow prevails over our area. Generally fair conditions expected over most areas during the Easter weekend. 24-hour forecast: Sunny with a few cloudy spells today and partly cloudy tonight. Showers will be isolated except for a few more over southern areas. Today: Winds: E-NE 5-15 kt. ; seas: Choppy. ; waves: 3-4 ft.; isolated showers, with a few more over the south. Marine Outlook: Friday night: Winds: E-NE 5-15 kt. ; seas: Choppy; waves: 3-5 ft.; isolated showers, with a few more over the south. General Outlook: For Friday and Friday night is for mainly fair weather with showers generally isolated except for a few more over the south. 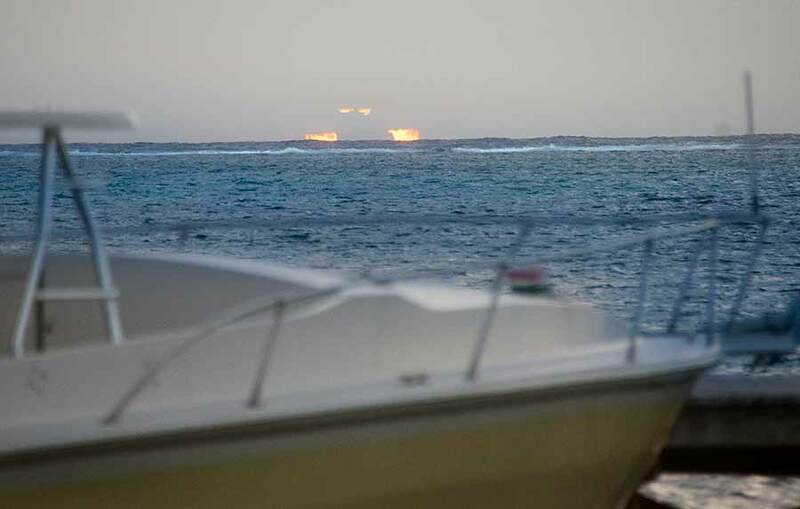 On Ambergris Caye this morning the wind is from the ENE at 6 mph. It's a sunny day with a calm sea. Our expected high is 85 f.
Strange weather at present, the easterly Caribbean can only be seen up ear Cuba, there is no high level near Belize at present, but there is mid-level cloud milling around in all different directions, giving us a cloudy start to the day, but that is thinning, and the easterly Caribbean winds will pick up later. 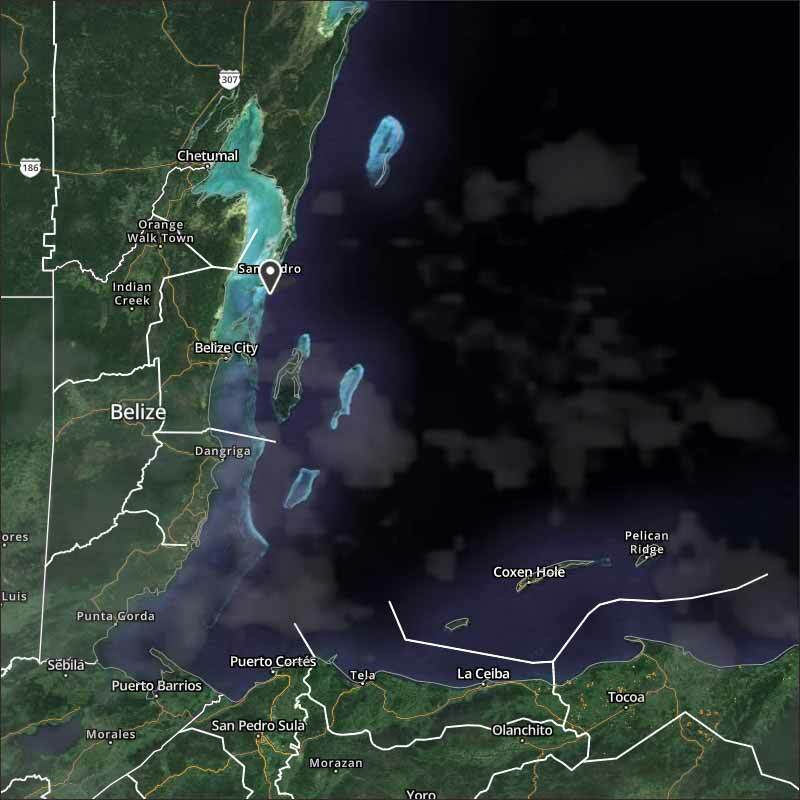 There is the odd scattered rain around, mainly at sea and southern Belize, but that is reducing. Looks like today will be fairly sunny, but with significant cloud around, only a small chance of rain. Rain showers have been increasing, not reducing. An area of heavy rain now around the Belmopan area was showing only a few small light showers, but swelled up into some heavy rain.